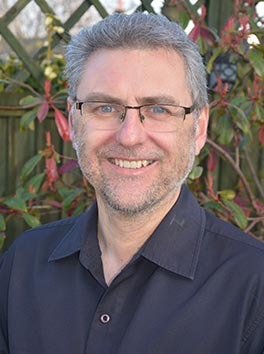 Neil is a Consultant Psychotherapist with over 34 years experience of working in NHS mental health services within the UK (England/Wales) and Australia. 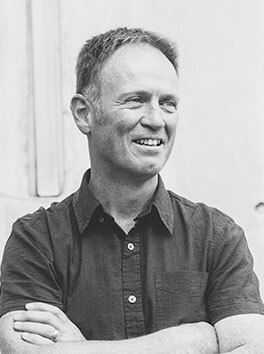 Neil has worked in the private sector at the Priory Hospital Bristol, and for the past 18 years in the University Hospital of Wales within the Department's of Liaison Psychiatry, Traumatic Stress Service and Veterans' NHS Wales as a Cognitive Behavioural Psychotherapist. Neil implemented and delivered the partnership between Cardiff & Vale NHS Trust and South Wales Fire and Rescue Service between 2001-2008. Neil is the current Director and Consultant Clinical Lead of Veterans' NHS Wales, the only national service in the UK for ex-military personnel with service related mental health problems. He holds an Honorary title: 'Research lead in veterans mental health', with Cardiff University. Neil uses a mixture of CBT and trauma focused psychological therapies, including eye movement desensitisation reprocessing (EMDR) therapy, Cognitive Therapy, and Cognitive Behavioural Conjoint Therapy for treating couples where one or both have PTSD. He is also interested in the use of Mindfulness Therapy within a CBT model, and CBTi to treat insomnia. He is currently involved in two research studies: 1) Guided self-help for PTSD via a website with minimal therapist input vs traditional Cognitive Therapy for PTSD, and 2) 3MDR which uses a treadmill and virtual reality for treatment resistant PTSD in military veterans. Neil's clinic's are Tuesday 1600-1800 & Friday 0900-1100. David Hitt, RMN, BSc (Hons), PgDip CBT. David has been a registered mental health nurse for 17 years. He has a first class honours degree in Nursing as well as an honours degree in Biology. He has been practicing CBT for over ten years, within which time he achieved a postgraduate diploma in Cognitive Behavioural Therapy at the Institute of Psychiatry in London. He is an CBT accredited practitioner with the BABCP, as well as a member of the NMC. He is also trained in Eye movement desensitization reprocessing therapy (EMDR). His areas of specialist interest include Obsessive-Compulsive Disorder, Social Phobia and Panic Disorder, though he is also experienced in the treatment of PTSD, Health Anxiety and Depression. David currently works within the NHS within a partnership scheme to treat Cardiff County Council employees who have been on sick leave with mental health problems. He has achieved good outcomes with this client group, which has had a significant cost benefit for the local authority. David is currently a past member of the SWW BABCP branch and current chairperson for South East Wales BABCP branch. David has also for the last three years developed and taught on a CBT degree currently run by Cardiff University. This is the only BABCP accredited course in Wales and aims to develop and maintain high standards of CBT practice both locally and across the country. He is also a course tutor on the Cardiff University School of Nursing's Diploma in Mental Health, hoping to develop standards for psychological practice of mental health nurses. David's clinic's are Wednesday 1700-1900. 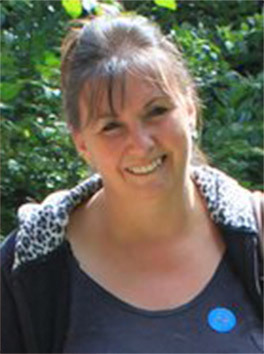 Deborah trained as a Registered Mental Health Nurse at the University of Birmingham before taking up a post in the private sector, within an adolescent inpatient setting at Priory Hospital, Bristol. Deborah has worked in NHS acute psychiatric settings before working in the Cardiff & Vale UHB Mother & Baby Unit at the University Hospital of Wales, Cardiff. She trained as a Cognitive Behavioural Psychotherapist at the University of Birmingham in 2005, obtaining an MSc with distinction. She has completed Eye Movement Desensitisation and Reprocessing (EMDR) training in 2008 and uses EMDR extensively with trauma clients. She is a member of the Nursing Midwifery Council (NMC). Her special interests are treating clients with PTSD, Panic Disorder, OCD other anxiety disorders, depression and Peri-natal Psychiatry. Deborah also offers therapy via Skype calls for the above. Deborah's clinic is Friday 1400-1800. Jo has worked as a registered mental health nurse for 19 years in a variety of inpatient, day patient and community settings within Cardiff. She has a first class honours Degree in Nursing as well as post graduate Diplomas in Integrative Counselling and Psychosocial Interventions for psychosis. She has been practising CBT for over 9 years and in 2007 to 2008 she attended Southampton University and achieved the Postgraduate Diploma in CBT for Severe Mental Health problems. 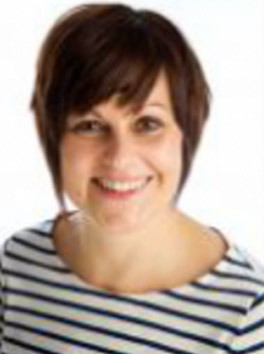 She is an accredited CBT practitioner with the BABCP, as well as a member of the NMC. 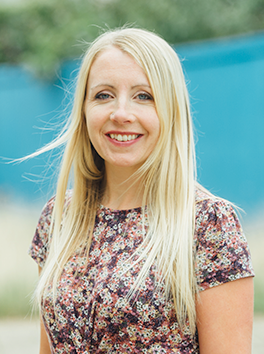 Jo currently works within the NHS as a CBT Psychotherapist within a partnership scheme to treat Cardiff County Council employees who have been on sick leave with mental health problems. She has achieved good outcomes with this client group, which has had a significant cost benefit for the local authority. She is committee member of the South East Wales BABCP branch. Her areas of specialist interest include working with Anxiety Disorders (Panic, OCD, Social Anxiety, Health Anxiety, PTSD, and phobias), Depression, Self Esteem and confidence issues, Bipolar Disorder and Psychosis. Jo has a personal interest in approaches such as Acceptance and Commitment Therapy and Mindfulness Based Cognitive Therapy. Jo also offers Eye movement and desensitisation and reprocessing (EMDR) for psychological trauma and phobias. Jo's clinic is Thursday 1700-1900 & Sunday 0900-1300. Nigel has been working as an Independent Chartered Clinical Psychologist for the past 12 years. He has 25 years of previous experience in the National Health Service. He has previously held NHS Consultant posts in Sussex, Cardiff and Bro-Morgannwg. He was also a tutor for the Cardiff University, Clinical Psychology, Doctoral Course. Nigel is currently a Consultant in eye movement desensitisation reprocessing (EMDR) for the treatment of post-traumatic stress. He also has a particular interest in the use of mindfulness-based strategies. Nigel provides supervision in EMDR for members of the NHS, including Veterans' NHS Wales and the Cardiff and Vale NHS, Traumatic Stress Service, and other health professionals in Cardiff, Swansea and Bristol. Nigel provides therapy for people with anxiety related problems, particularly related to psychological trauma. 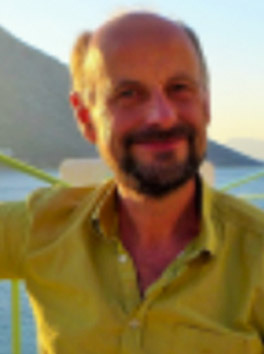 He has published several articles and book chapters on a range of issues relevant to psychological therapy and mental health.Nigel is accredited with the British Psychological Society and the Health Professions Council as a Clinical Psychologist and EMDR Europe as a Consultant in EMDR. In addition to working with CBT Cardiff in Cardiff Bay, Nigel also offers therapy at his other venue in Abergavenny. Please see his website: www.cardiffpsychologist.co.uk for further information. Nigel's clinic is Monday 1000-1600. Pam is a Consultant Clinical Psychologist with 30 years’ experience of working in mental health and addiction services across South Wales. She most recently worked as a consultant locally and for many years acted as Welsh representative on the British Psychological Societies ‘advisory panel for addictions. For the last 8 years Pam has acted as the Lead psychologist for addictions in South Wales. Prior to this she worked for nearly 10 years in forensic services providing psychological assessment and treatments to an inpatient unit in South Wales. Pam has, for many years, been involved in training other professionals as part of the Clinical Doctoral Course at Cardiff University as well as many other professional specialties across South Wales. Pam has undertaken work on behalf of the Welsh Assembly Government in relation to Alcohol Related Brain Damage and has recently evaluated the first pilot project offering treatment approaches for this disorder. Pam has been involved in a Cochrane Review relating to substance misuse and PTSD and has worked extensively with this population. She uses a CBT approach to working with addiction problems, anxiety, depression and early traumatic experiences. Pam is also trained in the use of Trauma Focussed CBT and EMDR. Pam is accredited with the British Psychological Society and the Health and Care Professions Council as a Clinical Psychologist. Pam's clinic's are Tuesday 0900-1300, Thursday 0900-1300 & Saturday 0900-1300.